Description: If you have been alone for quite some time and looking for a partner to accompany you, then signing up at this site and meeting new people would be worth your time. 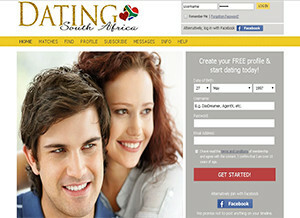 The website has thousands of profiles and finding your perfect match is not far away now. It is a strongly recommended dating site for all those who are seriously looking for a partner. The site has a picture gallery, where all the members have uploaded their photos and hundreds of new photos are added each day. You can search the members by your areas of interest, age, location, user name as well. The site has a special two way matching system to provide the best matching results. On the site you can also add the profiles of people you like to your favorites list or become their fan. When they know that you like them and are looking for partner, you will get a good response from their side as well. As a free member you can only upload ten photos and receive emails from the persons interested in you and reply them through the online system. You can get 100 matches for yourself as a free member. As a subscriber you can have full access to the gallery, send and receive emails from other members, get up to 1000 match results and more. Subscription fees depend on the duration of subscription. If you wish to avail the full services for 3 days you need to pay US$11.95 and for one month the fee is US$29.95, more details are available on the site. So become a subscriber and quench your “looking for partner” thirst. The site also has articles regarding dating issues and success stories. The site has a wealth of options and you will love exploring the site. Ease of use: The navigation of the site is very user friendly, all the pages have been given very clear tabs and the subpages have been very well organized. Each page has many related subpages and exploring them is fun. There is a members’ login and sign up area on the left panel on the home page along with quick search option and featured profiles on the right. Selection of profiles: Simply join the site for free and create your profile, add your photo and you are ready to search for your perfect match. The search option provides you with different options to carry out a detailed search of the profiles of thousands of members of the site so that looking for partner is not a complex job anymore. You can find people by age, gender, location, interest or become their fan. Star rating: There are a lot of exciting features on the site which give it an edge over the competitors. The dating guide article are really informative and the Did you know? Section is a nice addition. I would rate this site as 4/5. Contact details: The site has an online support page where you can send your question or query to the support team. It is strongly recommended to read the FAQ section before making a question as most of the questions are answered there.